Voici nintendont par crediar (et repris par d'autres personnes), un homebrew qui permet de lancer des backups de jeux gamecube depuis une carte SD ou clé USB. Comme devolution, vous pourrez utiliser une manette GameCube, une Wiimote ou une autre manette USB (manette PS3) pour jouer. Ca marche sur Wii et WiiU (mode Wii). Voici la version reprise avec le code source de Crediar. Vous pouvez donc lancer d'autres jeux que Zelda. Cette version est mixée avec une autre version compatible USB et vous pouvez donc a priori lire vos jeux depuis une carte SD ou une clé USB/disque dur USB. Pour savoir comment lancer vos backup de jeux GameCube avec Nintendon't, suivez ce tutoriel réalisé par VinsCool. Pour lire la longue liste des changements, vous pouvez aller aller voir ici. Skip USB drives that don't have a valid MBR or UStealth MBR signature. This usually happens on Wii U setups where the user has both a Wii U drive and a FAT32 drive for Wii and GameCube. This allows the user to keep both drives connected when running Nintendont. Support for injected Wii VC on Wii U. This allows use of the Wii U GamePad as Player 1 in addition to storing GameCube disc images on Wii U storage. New option to skip the GameCube IPL. Support for Wii Remote rumble when using Classic Controller. New "Game Info" screen that shows information about the selected disc image. More patches for various games, including timing and video mode fixes. The Game List now shows the filename of the selected game. This is useful for distinguishing between e.g. different revisions of the same game. [kernel] DI.c: Fix an off-by-one in the 2disc code. This bug was reported by Zonta85 on GBAtemp. This fixes a regression from commit 7671f98. if nothing was found in that path or it wasnt provided it will see if a "game.gct" file exists in the same folder as the "game.iso"
if no game.gct was found it will try to look for the gameid.gct (for example "GALP01.gct") in the same folder as the "game.iso"
-Changed boot status messages "Initing devices..." to "Initing storage devices..."
-cleaned up disc support for original wiis, for developers: to tell nintendont to load a disc just set the game path to "di"
-Do not recenter axes when using Bongos with the WiiU Gamecube Adapter. -Make Datel timer patching use a pattern instead of hard-coded offsets. -Fix Datel AGP to use the simpler DVD patching in r249. -Hack for 007 Nightfire for cache invalidation. Needs further investigation. -Skip Datel patches for non-Datel games. -Remove second PSO memcard emu hack. This was also made unnecessary by r227. -Add support for Datel AGP disc. This disc does not use the Nintendo SDK, so many functions are done in different ways are have different patterns. Currently only supports Native SI and MemcardEmu off. The actual hardware reading is not yet functional. -HID files are now saved to the drive with games, not the drive that Nintendont was launched from. -Changed the update menu to be scrollable. -Menus use an actual arrow now instead of a greater/lesser than symbol. -Added boot status error "Gamecube adapter for Wii u init error"
-Added boot status message "Init HID devices... Using ONLY NATIVE Gamecube Ports"
- Fix Entry load cache invalidation. This was causing PSO 1&2P/III EXIImm issue, so removed the patch for that. - Commented out 31A0 patch until we know of a case where it's needed. -Added support for Nintendo Wii U GameCube Controller Adapter (Thanks Adeka, Khar00f, Sakitoshi, joefz2) You currently need to enable the adapter in a game that supports it. Exit that game. Then start Nintendont without powering off for it to work. -Added MultiIn=3 for multiple controllers from the same adapter all using the same message. When MultiIn=3 MultiInValue= needs to be set to how many bytes are for each controller. -Added error message for missing file specified in cheat path when cheat path is used. -Added error message for file specified in cheat path being to big when cheat path is used. - A few minor cleanups. - Fixed update menu and "Return to Loader" not always showing. NOTE: Don't bother asking for a full GUI, coverflow, or anything else graphics related. This is as good as it's going to get. Use another loader if you want something nicer. The purpose was to make the text easier to read on small screens, and to add flexibility for the devs by making font size customizable. - Fix game region detection when video mode set to Auto or None. - Great, now PAL games don't work. I'm reverting the UI until I can order a PAL game and test it out. - You can now see more of the game title. - Fixed a warning if DEBUG_PATCH is disabled. Thanks to ccfman2004, VinsCool, and Shiranui-san for the valuable input they've provided on this release. - If Emulating MemCards, one of the calls to EXIImm is not working correctly. The hack copies the patch for EXIImm to the 0x80001800 patch scratch area and calls it from there. This should be identical behavior to skipping this hack, but it only works from the scratch area. This needs further investigation. - Immediately before the PSO fake entry patch, a function call that looks like its doing Initialization stuff (DSP, SI, etc.) is called. For emulated MemCards, this causes a hang-up. Further investigation is needed rather than just skipping the whole thing like this hack does. - Add hack for PacMan World 2 to force the SiInit true. - Made PSO hacks more generic (work for PSO III). - Added new PatchBuffer code for PSO III. - Don't mod psov3.dol entry point. Used after DVD load. Patch entry hack. - The controller files now use the VID and PID. - Your controller will now be detected and the appropriate .ini file will be selected. Extract the contents of controllers.zip to a folder named controllers in the root of your FAT device (so you'll have FAT:\controllers\0001.ini). - Added exceptions for Virtua Striker v4 2006 (GVSJ9P, GVS46J, GVS46E) in the title database. This doesn't include ISO's that, for some weird reason, have had the title ID modified to match the 2002 version. - Removed "Sonic Adventure DX: Director's Cut (Preview) Prototype" entry because it was useless and conflicting with some custom titles. Note: The old controller.ini method still works, so if you only use one controller you don't have to change anything. - Fix Native Control/PATCHSI backwards logic. - Make PATCHSI a menu selectable option (Native Control On means PATCHSI is disabled). -The loader now updates the meta.xml file prior to checking for AHB access, so you don't have to fix the meta.xml file manually. Note: To save space, the database doesn't care about region. disconnected and then reconnected to sync. same time as the LZ button. ninmemj.raw when upgrading to this version. It wont work for anything that doesn't use the MultiIn command. It is incompatible with a wavebird being plugged in. wiiu pro adapter can not have any gamecube ports used after the first empty one. -Fixed reading old version 2 of nincfg.bin so loaders that havent been upgraded will still work. Undo unnecessary complicated memorycard memory processing and just avoid overwriting kernel memory. Move the DI_Buffer back to 0x11200000. -Seems to cause crashes if not located here. -This is in the middle of Memcard memory. This makes memory card processing much more complicated. Add support for multiple saves in a single memory card file. Add support for selecting memcard size. Prevent disc reads beyond the end of the buffer. Check for controller.ini.ini if can't find correct file. Add SIInterruptHandler C. Thanks sabykos. -Fixes The Simpsons Road Rage and Peach's castle Tech demo. *Fixed a bug that non Triforce games were reading from Triforce hardware areas (Thanks to sabykos for finding the bug). Attempt to speed up Dsp searching code. Added log to the config settings. Skip GC pad read on Wii U. -Use enum for 0xdead function patterns. In ARStartDMA, round down to zero for low value counts. Use the requested counts for larger values. -Currently cut-off is set to 0x400. This might need to be adjusted. -This might make the ARQPostRequest patch unnecessary. Minor Zelda DSP clean up. Disable _fwrite D patch. Doesn't appear to be the right function to patch. -Perform 1 file write per line of text with a buffer instead of 35 without. Add Dsp v12 (Pikmin PAL). Cleaned up Zelda Dsp patching code. -Fixed HUGE omission in the meta file. It doesn't affect compatibility so no new dol. Corrected name for SIEnablePollingInterrupt (was SIReadHandler). -Mistakenly thought a patch was needed for an interrupt bit. It was actually the mask bit. Add SIInit C patch for SSBM. -Unsure of the name, but the function performs SIHandleRead for SSBM. Clear SI interrupt in SIInterruptHandler, not FakeInterrupt. Same for EXI. -Might require finding more versions of SIInterruptHandler. Send additional PPC interrupt if cleared without handling the requested SI or EXI interrupt. Clean up some interrupt code. Change method to protect interrupt variables by separating interfaces to different locations. DI doesn't use Fake Interrupt. Remove reference. Turn off log in official build. -It can slow down games during launch which causes errors. Moved specific patches from Mario Strikers to generic method. Clean up changes to SI. -It's still not quite right. We shouldn't need to false report errors and the polling bits are never enabled. Found a few more function patches for AI/SI. Found a few functions related to SI in Mario Strikers that should be generalized. They currently aren't needed, but if we improve the SI interface further they will be. They're related to using memory instead of interrupts. We need to write 0s to clear memory, not 1s. For now only apply to Strikers. Move patch_fwrite_GC to a .S file. Combine patch_fwrite_Log/B into one S file and clean up. Load config from memory in kernel if available. Only write nincfg.bin in loader if settings were displayed. Fix heap scope issue with DI queue. Disable SI interrupts if disabled by game. Reset patch found variables when loading a new elf/dol. Use the log for patch_fwrite instead of UsbGecko. -Should probably make this an option for one or the other, or always do both instead. -Also clears cache when swapping discs. Use corrected ARStartDMA for all games for interrupt timing. (Original attempt missed an exchange for r6/r7). -Added Generic USB Gamepad PID=0079 VID=0006 controller.ini This controller was sold under several brands and models. Only use non-zero DMA interrupt size for Megaman X Command Mission. Correct branch offsets in Patch31A0. Dsp version does not control if ARQPostRequest is needed. Revert to lists. Use actual DMA length in ARStartDMA instead of 0 (assumes no actual data transfer occurs. Only affects timing. -Fixes Mega Man X Command Mission. Remove ARQPostRequest from all non-Zelda uCode games (Zelda=Dspv0,1,5,8,10,11). Skip Dvd patching for all games (not just Harvest Moon MM) that load a dol or elf file after the first with no patchable segments. Fix Harvest Moon Magical Melody. Remove ARQPostRequest patch for all games (Fixes Mario Golf). This might break things for some games. Remove ARQPostRequest patch from Metroid Prime 2. Don't patch ARQPostRequest for Metroid Prime. <DeadZone> is a value in hex if the controller is up to that far from center nintendont will still send that the stick is center to the game. It has a default value of 0 which is correct for most controllers.It sholud only need to be changed it the stick appears to be pulling in one direction. Prior versions had this hardcoded to 1A. <Radius> is a percent applied to the value coming from the stick. Prior versions had this hardcoded to 100. It has a default value of 80 which is correct for most sticks. Most sticks produce values ranging from 00 to ff, the camecube controller only produces values of only about 80% of that. It only needs to be changed if your controller dosent produce values ranging from 00 to ff. Generate .h files from .S files. Generate .S files for DVDInquiryAsync and DVDSeekAbsAsyncPrio. Remove built files from repository. Simplify PadStub calling (use a global location for PadBuff). Add support for japanese font. Try to use font_ansi.bin if no ipl.bin file is found. Note: Certain games try to load the IPL font and crash or don't display any font at all when the sd:/ipl.bin or usb:/ipl.bin is missing! Put a file called cache.txt into the same dir as the game.iso and put any filenames you want to cache in there. There is currently a file limit of 220 entries. Actually implement the change meant for r22 (Fix UStealth). Fix zero length DMA behavior. Fixes Animal Crossing (others?). Added elf file for analyzing code dumps. Revert minor DSP change from r13. Fix black screen when using interlace with component cable. Attempt to fix reset hangups. Speed up memory card writes. Added error message for "PS3 controller init error"
-Made the Title ID check a little clearer. Fix Tales of Symphonia always up when using GC Pad. Added message during boot to plug in HID controller if needed. Added display of revision on the top of the screen. Hollywood21 patch only for Wiis that are v21. Fix Shutdown for WiiU as well. Add Language selection to Loader Menu. Nettoyage des erreurs affichées au démarrage et indication de pourquoi le contrôleur USB ne marche pas. The usage of HID devices is controlled via the nintendont config but forced on Wii U. When using HID a sd:/controller.ini must be present, a few samples are supplied. Nintendont uses a config file which is stored at sd:/nincfg.bin see nincfg.h. Loaders can use the auto boot flag in the config to directly boot games. When using the PS3 controller you must press the PS button first. when using a HID controller you have to map the Power entry to use this feature. On the first boot it will create a new memory card which takes some time. If SD or FAT fail your SD card is probably not compatible. DI fails if something is wrong with your game ISO. ES has a rare chance of crashing just reset your Wii/Wii U.
the .dol by any means. You need my tool called HIDTest to determinate the values. Most entries should be obvious. All values are in hex, do not use the 0x prefix. form 0 to 7 for each direction. The rest uses [Button]=[offset],[mask] offset starts at 0. Dernière édition le 03/06/14 à 02:56:15 par tonyM31. Voilà j'ai quelque souci sur wii U , je n'arrive pas à faire fonctionner une manette wii U pro avec nintendont, j'utilise le fichier nintendont_wiiuprousb.ini récupéré ici : https://github.com/Nanolx/nintendont-controller que je renomme controller.ini et que que met dans SD:/controller.ini. Je branche ma manette en usb en façade, je lance le loader, je sélectionne mon jeux à la wiimote car à la manette je n'ai rien qui bouge et blocage une erreur s'affiche me disant en gros que le fichier controller.ini n'est pas reconnu . Toujours pareil : le programme m'annonce un message d'erreur du genre "No FAt device found..." et se ferme. est ce que y'a qu'une seule partition et est elle fat 32 également ? Dernière édition le 03/06/14 à 17:16:30 par Attila. Alors, j'ai testé et toujours le même message. Donc, je sature. Je me rabats sur USB Loader GX qui fonctionne. Donc, je donne la solution : n'utilisez pas n'importe quel disque dur externe, achetez les Western Digital 2.5. Voilà. Juste pour info, y aurait-il la liste de compatibilité des jeux Gamecube ? Pour ma part, Rayman 3 H arrive jusqu'au menu du choix de langue et les contrôles devienennt indisponibles et Super Mario Sunshine bug au bout de quelques cinématiques. Reste à savoir si ça vient de mo,n matériel, de mon formatage ou de la stabilité du logiciel. J'attends impatiemment les mises à jour. Dernière édition le 03/06/14 à 22:55:25 par jim750. Bonsoir, tu as testé la compatibilité des jeux stp ? Dernière édition le 05/06/14 à 20:30:08 par tonyM31. Dernière édition le 28/06/14 à 00:57:42 par tonyM31. Y aurait-il un site "officiel" pour Nintendont; pour (à l'avenir) trouver la version la plus récente et les divers fichiers (pour chaque manette) controller.ini qui vont bien? Bref, un endroit où tout est centralisé, testé et à jour. Dernière édition le 28/06/14 à 10:40:55 par xtopher. Renomme le fichier .dol en (boot.dol)..
Dernière édition le 28/06/14 à 11:20:25 par payhen44. Dernière édition le 28/06/14 à 13:12:30 par tonyM31. Le n° de version n'est inscrit nul part, je suppose que c'est r102 dont TonyM31 parle (la dernière version à ce jour)!? Dans les fichiers cfg des manettes, aucune mention pour les Wiimotes !? Pas compatible... utilise un pad GameCube pour la wii. 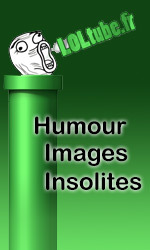 Ps: Fait aussi fonctionner TimeSplitters 2 (pal), Mario sunshine (pal). Cependant F-Zero GX (pal) lui ne fonctionne toujours pas. Dernière édition le 29/06/14 à 12:38:25 par payhen44. Dernière édition le 29/06/14 à 14:26:46 par tonyM31. Dernière édition le 30/06/14 à 05:40:32 par tonyM31. J'espère que cette fonction arrivera (car le fil des manette GC sont un peu courts ). Dernière édition le 02/07/14 à 23:29:21 par tonyM31. Si, ça fonctionne avec une manette Gc via la wii..
Pas pour maintenant et peut-être jamais via le bluetooth..
Dernière édition le 02/07/14 à 19:46:24 par payhen44. Dernière édition le 03/07/14 à 10:30:30 par tonyM31. le bluetooth est en préparation, pas encore prêt mais ça viendra. MISE À JOUR 7: Les mises à jour se poursuivent. La version américaine de Animal Crossing devrait commencer dès maintenant. MISE À JOUR 6: v1.124 FixT Probleme mit den DSP-Patches. MISE À JOUR 5: v1.123 a été libéré. Il ajoute des améliorations à la liste des jeux. MISE À JOUR 4: v1.122 est là et augmentation compatibilité. Jeux depuis v1.72 ne sont pas partis, devrait aller maintenant (Mario Party 7 Mario Power Tennis, et plus.). La dette est l'émulation Triforce - jeux non-Triforce ont lu le matériel de la Triforce et alla donc pas naturel. MISE À JOUR 3 : v1.119 et V1.120 sont publiés. La liste des jeux est maintenant triée par ordre alphabétique. Le chargeur peut maintenant aussi être commandé en appuyant sur &#8203;&#8203;le stick D-PAD/den. Comme on le sait par les autres homebrews, vous pouvez voir la liste de "gauche" et "droite" par défilement plus rapide. Le stick analogique de la manette classique fonctionne maintenant dans le chargeur. En outre, la position du curseur dans la liste des jeux à l'appel des options est enregistré. UPDATE 2: v1.118 assure que le bouton POWER fonctionne maintenant à tout moment. La Wii est éteinte, la Wii U revient au menu. FIX: Mise à jour v1.117. Le code multi-DOL a été optimisé. Les correctifs de DSP ont été mis à jour (ils sont responsables pour le son, rappelons-nous qu'ils devaient alors être retiré ). * Correction d'un bug que les jeux non Triforce lisaient des zones de matériel Triforce (Merci à sabykos pour trouver le bug). Tenter d'accélérer la recherche Dsp code. En fait la révision 127 n'est utile que pour les utilisateurs de carte SD, sinon rien n'a changé au niveau compatibilité depuis la r126. 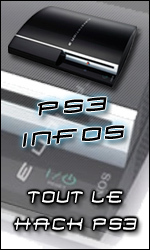 copie et colle le fichier loader.dol dans le dossier de nintendont du téléchargement de wii-info sur ta carte sd, remplace le fichier boot.dol par celui-ci (renommé en boot.dol) Bon jeu !